When I was a nipper most of the crew I hung around with supported Manchester United and things were peachy until the 1973/'74 season when United, under Tommy Docherty, were relegated. 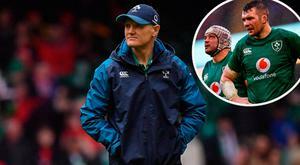 It said something about the last two months that Joe Schmidt reflected on a match that saw his team held scoreless for 82 and a half minutes and offered the opinion that they had played worse in defeat to England. Almost better to crave the certainty of pain rather than the pain of uncertainty. After seeing off all who came before them last year, it has become increasingly clear that Ireland have not evolved their game-plan since the highs of 2018. Warren Gatland's post-tournament review has been cancelled in favour of a long, luxurious lunch with the coaching staff. 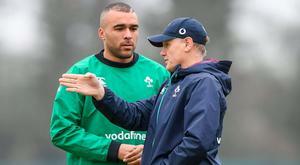 One imagines Joe Schmidt won't be doing the same. 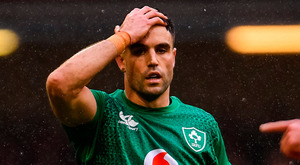 Joe Schmidt pleaded with fans not to give up on Ireland after last year's Grand Slam champions crashed to a humbling 25-7 defeat in Wales, their second heavy loss of the Six Nations campaign. 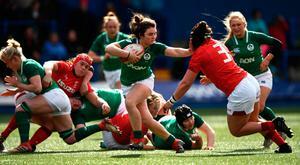 Wales Women concluded their Six Nations campaign with a 24-5 victory over Ireland at Cardiff Arms Park. 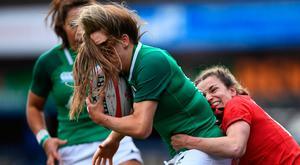 This was a deeply, deeply disappointing performance by Ireland. For Wales, river deep, mountain high. Minutes after the final whistle blew the cameras caught a glimpse of Alun Wyn Jones, his arms out-stretched catching droplets of moisture from the sky and his eyes averted to the heavens. This was no 'thank you' to the almighty, this was an acknowledgement that Wales managed to garner their Grand Slam without a worthwhile examination. Pathetic. Pitiful. Practically pointless. This was one of the worst performances by an Irish team since the return to international respectability in the early noughties. It is difficult to imagine how the defeat could have been any more humiliating. We don't keep an exact count of these things but yesterday was the 20-somethingth time of fetching up to this theatre by the Taff. Never has it been so miserable. Once as a punter, the rest as a hack, the visits started when it was the National Stadium, then the rebuilt and rebranded Millennium and now the Principality: same gaff, new name over the door. Ireland's bewildered players and coaches tried their best to play down the significance of this defeat in the immediate aftermath. 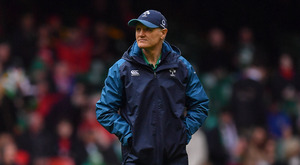 Joe Schmidt insisted the performance had not been "as disappointing" as the opening day defeat by England in Dublin, noted more than once the "six-day turnaround" that his team had had to overcome, and urged Ireland fans "not to lose faith". The championship may already have been decided, but the drama had scarcely begun. Scotland, looking utterly bereft in west London once again, resurrected themselves from a 31-0 deficit after only half an hour to come within a few minutes of a first victory against England here since 1983. Only a try at the death and subsequent conversion, both scored by George Ford, salvaged England from suffering an ignominious defeat. Warren Gatland's traditional Six Nations review with his coaching staff will be replaced this year by a "long" lunch. He said: "I can sum it up in two words. Pretty good. And that's the review over." 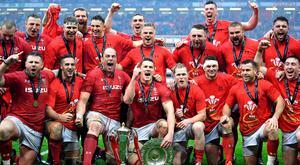 Wales were crowned Six Nations Grand Slam champions as they demolished Ireland 25-7 in Cardiff to claim European rugby's glittering double prize. 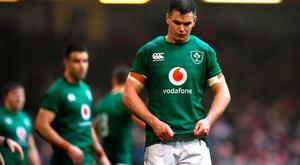 Here is how the Ireland players rated in today's dismal defeat in Wales. Joe Schmidt also defended out-half Jonathan Sexton and scrum-half Conor Murray after another under-performance from Ireland's stuttering half-back pairing. Joe Schmidt admitted it may have been a mistake to open the roof of the Principality Stadium as the roof caved in on his side who delivered the worst Six Nations display of his era. Ireland still have an outside chance of winning the Six Nations when Joe Schmidt's men take on Wales today. Where does the time go? Next Thursday marks 10 years since Drico, Paulie, ROG and Co led an Irish rugby team to a place most of us had never before witnessed, an idyllic land that just a decade previous probably never felt so far away. Joe Schmidt was born in Northland, New Zealand in 1965. Warren Gatland arrived two years earlier in Hamilton on the same North Island. There's a storm brewing in Cardiff ....but while 'roofgate' rages on, the forecast rain has held off for now, bringing a party atmosphere to the streets around the stadium. 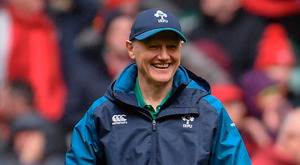 At a meeting during their December camp at Carton House in 2017, Joe Schmidt showed a video to his players that featured Ireland's achievements with him including two Six Nations, a first win in South Africa and a first win over New Zealand. Ireland have requested that the Principality Stadium roof stay open for tomorrow's Six Nations finale against Wales, ignoring weather warnings related to the arrival of Storm Gareth to the Welsh capital. For f**k's sake lads!" the Irishman roars at an Englishman and a Welshman. But this is no joke. Nobody's laughing. Warren Gatland has advised Eddie Jones to "concentrate on the Scotland match" after the England boss claimed Wales were showing signs of fatigue. There were no less than 13 flights heading from Dublin to Cardiff. It was some sort of exodus. One way traffic. The Principality Stadium roof is one of those topics that sits behind glass to be broken in case of a slow news day. 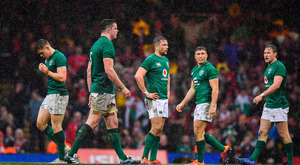 Yesterday, there was plenty going on, but it was propelled to the centre stage as a battle-ground in the phoney war between Warren Gatland and Joe Schmidt. 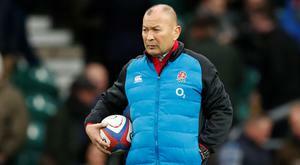 Five Six Nations games, five different second-row combinations. 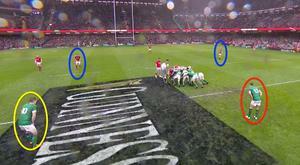 Who can forget that magical moment from Ronan O'Gara in 2009? WE asked you for your favourite memories against Wales. All winning streaks have to end. Warren Gatland says his Welsh team will look to exert maximum pressure on Ireland half-backs Conor Murray and Johnny Sexton to get an edge in tomorrow's Six Nations finale. An hour after the 15-15 draw in the deciding Test in Auckland in the Lions series against New Zealand and Warren Gatland arrives to the press conference wearing a clown's red nose. Confusion reigns over whether the Principality Stadium roof will be open for Saturday's Six Nations finale between Wales and Ireland despite a gloomy weather forecast this weekend. 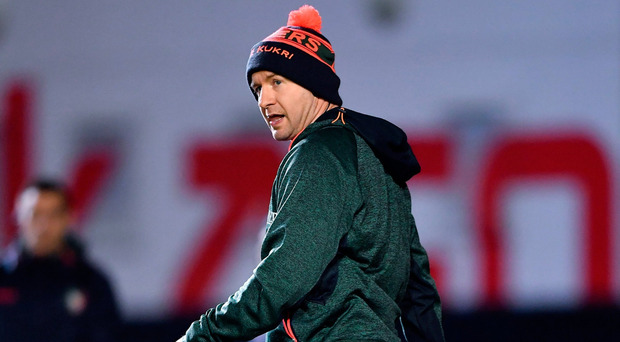 Given the circumstances in which Warren Gatland essentially ended his international career, Adam Jones could be forgiven for having some sort of resentment towards the Wales boss. Dan Leavy could make his first start for Ireland this season against Wales if he comes through this week's training unscathed. 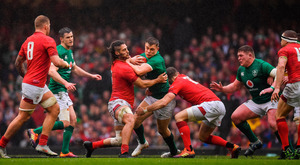 When Scarlets were trying to convince their star second-row Tadhg Beirne to resist the lure of a move to Munster and the prospect of donning the green jersey they dangled a different shade of red in front of him. Their second-row partnership has been something of a slow burner, but all the signs suggest that James Ryan and Iain Henderson will be ready to peak by the time they arrive in Japan later this year. Joe Schmidt has challenged his Ireland team to replicate the levels of intensity they produced against France for the full 80 minutes in Cardiff on Saturday. Joe Schmidt is targeting a final flourish at the one venue he has yet to win a Six Nations match in, but the Ireland coach admits the title is likely to be beyond his team. They're Ireland's version of Beauty and the Beast. One is a rugby artist defined by his sublime subtlety and creativity. The other is a warrior who relishes and thrives on the most demanding of physical exchanges. The scoreline at the end of yesterday's Six Nations match at the Aviva flattered France to a massive extent. Warren Gatland and Wales will bid for Grand Slam glory against Ireland on Saturday with the New Zealander admitting his team are jealous of the success of the men in green.